September 29, 1207 A.D. or 6th Rai'u-'l-avval 604 A.H.
Balkh in the north-eastern provinces of Persia (present day Afghanistan). Wife: Gevher Khatun - daughter of Lala Sharafu-'d-Din of Samarqand. and finally moved to Qonya (Konya) in the north-western provinces of Persia (in present day Turkey). 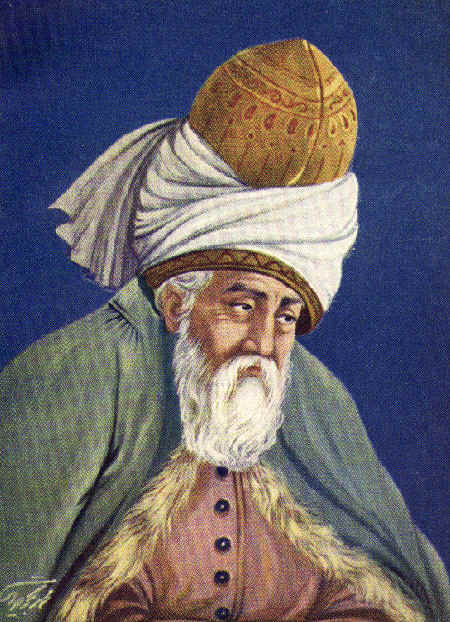 Age 39 On March 14, 1246, 21st Shewwal, 643, Shams left Qonya and Rumi for the first time. Mathnavi Rumi's most famous work in 7 books, and 24,660 couplets, in Farsi and some Arabic. 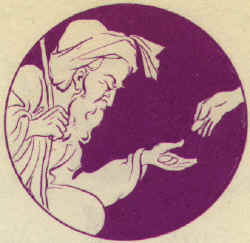 This work is also commonly refered to as the Persian Quoran. At sunset of December 16, 1273 A.D. 5th Jamadi-u-'l-Akhar 672 A.H. at the age of 66 solar years or 68 Lunar years. A night as revealing as a hundred high noon. Others’ hardships he proudly entrails. Within the sea of my heart shall drown. Grace of all others try to evade. Is under the parasol shade.